How can we hire top talent efficiency? We significantly need to change our behavior to impact our ability to get new talent. Unemployment rates are low, and demand is much more than supply. Are you ready to implement these new hiring trends? If not, you will get left behind. Recruitment marketing strategy is the process of nurturing and attracting talented individuals to your organization using marketing methods and tactics. Why is recruitment marketing important? Due to the current situation in the labor market. It’s main goal is to follow the latest trends in the market and offer solutions to the companies that best overcome these new challenges. Companies that first adopt these new recruiting best practices will be more likely to attract talent. Inbound recruiting is a recruitment marketing strategy where you proactively and continually attract candidates with the goal to attract and engage them and make them choose you as their next employer. It is important to adopt this if you are looking for a long-term solution. 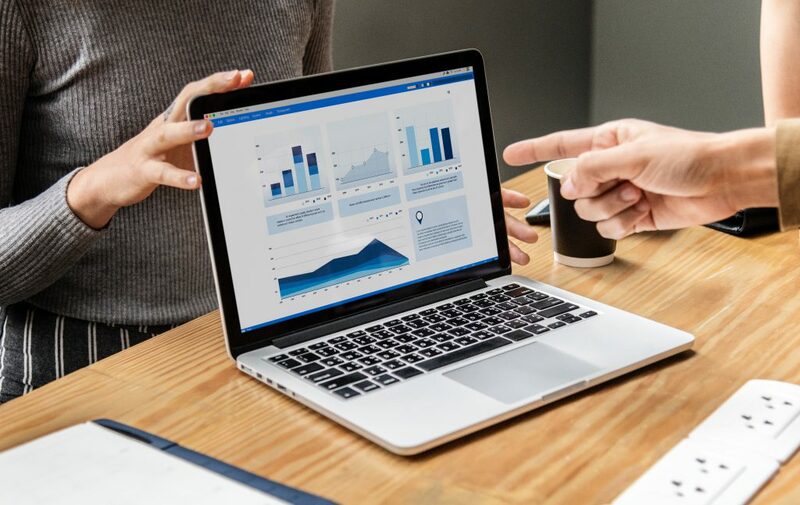 Employer brand is the term commonly used to describe an organization’s reputation and popularity as an employer, and its employee value proposition, as opposed to its more general corporate brand reputation and value proposition to customers. 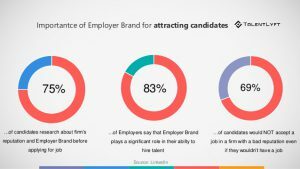 Employer branding ideas are essential for building a strong and attractive employer brand. It is important since research by LinkedIn has proven that more than 75% of job seekers research about a company’s reputation and employer brand before applying. Companies with a bad reputation not only struggle to attract candidates, but they also struggle to retain employees. Start implementing this trend ASAP, otherwise, you will end up being the loser in the war for talent before the year ends! It’s a candidate driven market out there. The way we recruit has changed. Compared to just a few years ago, candidates now have far more power during the job search. According to research and every recruiter’s and HR professional’s everyday work experience, the current job market is 90% candidate driven. That means you don’t pick talent anymore. Talent picks you. Is your company brand hurting your recruiting process?